Young people rallied together in Kwali area of FCT, Abuja recently to discuss the use of contraceptives in their community and how it can protect them from unplanned pregnancy, HIV/AIDS and sexually transmitted infections (STIs). The gathering was led by Y-Access peer health educators, young people who are trained and organized by Education as a Vaccine (EVA), a Nigerian NGO with offices across five states. The young men and women gathered to learn about the range of contraceptive options available to them, apart from the conventional male condom, and including hormonal pills, female condoms, and diaphragms. The attendees were informed that all of these are available at public health centres in different community and can be accessed by adolescents and young people. Danladi Iliyas, a peer health educator in the community stressed that these forums were designed to empower young people with the right information to protect themselves. Knowledge and access to contraceptives is critical amongst Nigerian youth. Local remedies are often taken instead, at times causing death or permanent reproductive disabilities. 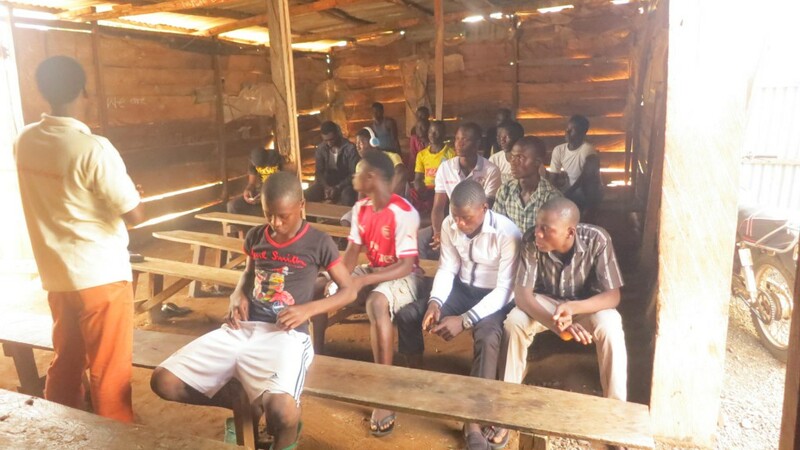 The Y-Access peer health educators aim to offer Nigerian young people with safe options. Over the past X years these peer health educators have reached over 9,000 Nigerian young people, providing them with youth-friendly accurate and non-judgemental information and referrals on sexual and reproductive health, and distributing close to 5,000 contraceptives of different varieties.